What's all the buzz about bees? We know you're thinking "Ugh, bees? They sting people! And sometimes people are allergic, and didn't you ever watch My Girl?!" Yeah, we get it, bees get a bad rap. But let us tell you: Bees. Are. Awesome! Why? Because bees make honey. Honey is delicious. Honey is kind of like bee poop, which is a weird way to think about it (it isn't bee poop at all, if that makes you feel better. It just kind of seems like it). But more importantly, bees pollinate stuff. Like, lots of stuff. Lemons, kiwi, almonds, even freaking potatoes if you'll believe that! Bees make the agricultural world go round, which is why they're so important. But how can we honor these mighty mini buzzing bugs? What could make the bees of the world realize how much we humans appreciate them? 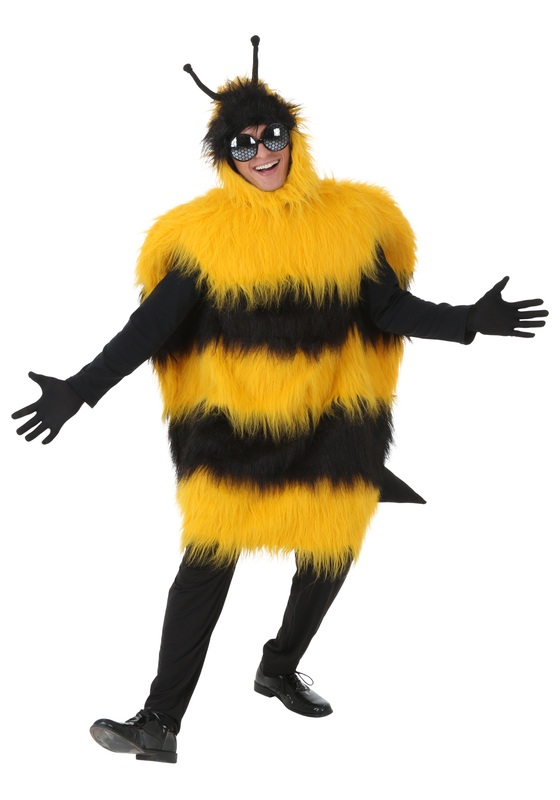 Maybe, just maybe, we could all dress in giant bee costumes, and then make quiet, constant buzzing noises as we go about our days. The bees would hear about it, and together all of them would come out of their hives. Worker bees, drone bees, bumblebees and honey bees. Even the queen bees! And they would buzz around the world with a happy tune knowing that the humans are friends and want to co-exist, to enjoy the fruits of their labor (ha, we just realized. "Fruits," get it? Because the bees pollinate fruits!). So be the first to proudly display your love for bees. Don't feel stung when others are wary of your new costume. Help sweeten them up and tell them you're a beekeeper of the best kind, a keeper of bees' hearts. Buzz on, honey!